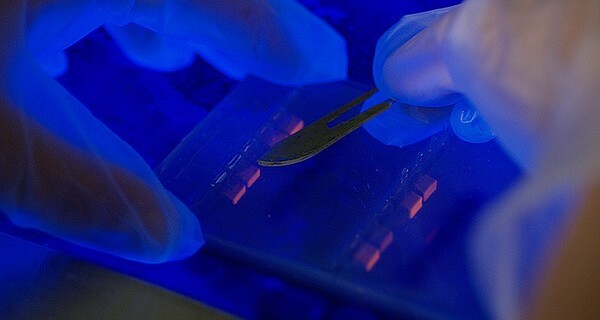 Giving access to cutting-edge DNA sequencing technology. All of us walk around with trillions of microbes as companions. The miniscule organisms that live on and inside our bodies, collectively known as the microbiome, are essential to our survival. Like a dense rainforest, the microbiome should form a balanced eco-system that helps to keep potential pathogens in check and regulates our immune system. Microbes perform essential services for us, helping us to digest food and synthesise vitamins. Not surprisingly, when the microbiome is disturbed or disordered, it can be associated with a range of conditions from asthma to diabetes, autism to depression, irritable bowel and chronic sinusitis and a wide variety of allergies. Until now it has been impossible for anyone to understand and manage this eco-system of microbes. uBiome is an attempt to do just that. uBiome aims to give the public access to cutting-edge DNA sequencing technology which analyses the make-up of the microbiome and shows how it compares to other samples. Once someone has swabbed their microbiome and sent their sample off for analysis they are guided through an online survey about the their health, lifestyle, demographics, social connections, and more. uBiome sequences the samples and correlates the survey responses to compare different samples and unpick the links between lifestyle, demography, genetics and conditions linked to the microbiome. It’s early days. uBiome started shipping test kits only recently. However, there are signs of strong potential demand: 2,500 people between them pledged $350,000 to get the venture up and running, the world’s largest successful crowdfunding campaign for citizen science. uBiome aims to create a huge, citizen-generated pool of data about the human microbiome, which should allow individuals to answer questions about their own health as researchers gain insights into the population as a whole.